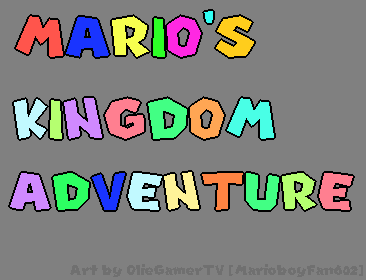 Welcome to Mario's Kingdom Adventure, made by me, Taycamgame! This is my very first attempt at making an episode, so it may not be as good as other ones out there. But i am getting better! Mario and Peach have been taking a stroll in the Mushroom Castle Courtyard. Suddenly, Bowser attacks the area using massive Cannons! Where did they come from?! Mario will have to leave Peach at the Mushroom Castle to investigate Bowser's Castle, but is that really a good idea? What is the real intentions of Bowser, and will Mario put a stop to his plans? 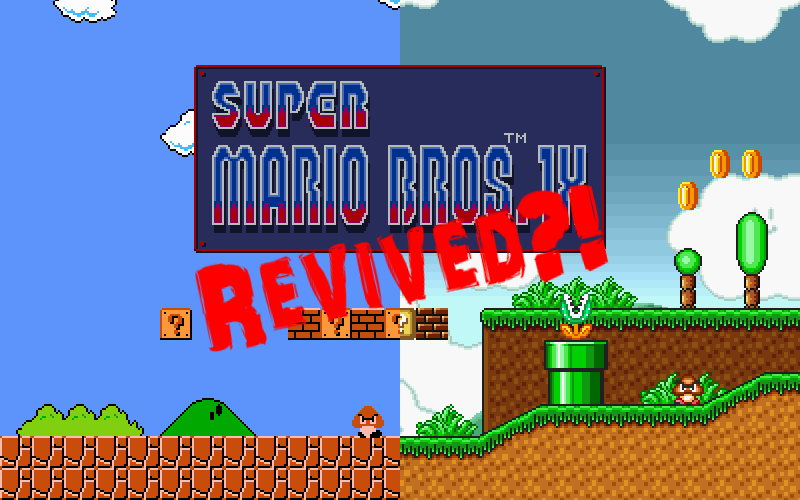 Or has Bowser's luck finally changed - and has he created the most devastating diversion ever possible? 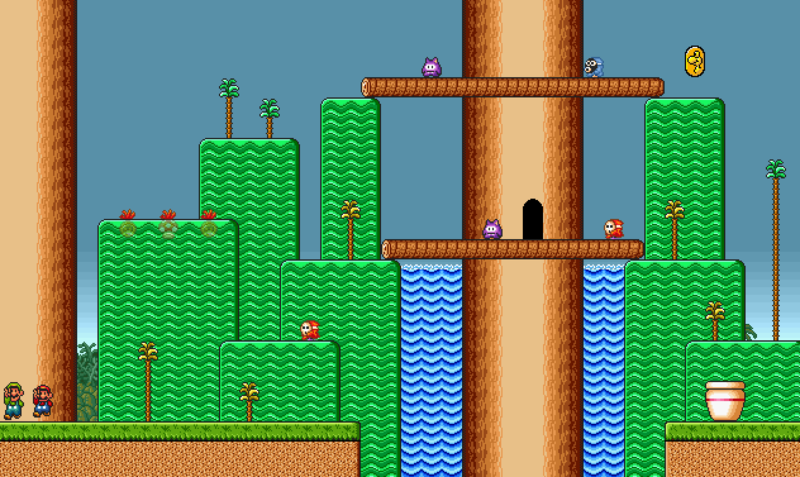 SMB3 King Bill, Squishy Rex. SMW Giant Piranha Plant, MarioWizzerd. Wobble Rock, other things from CGFX: Squishy Rex. 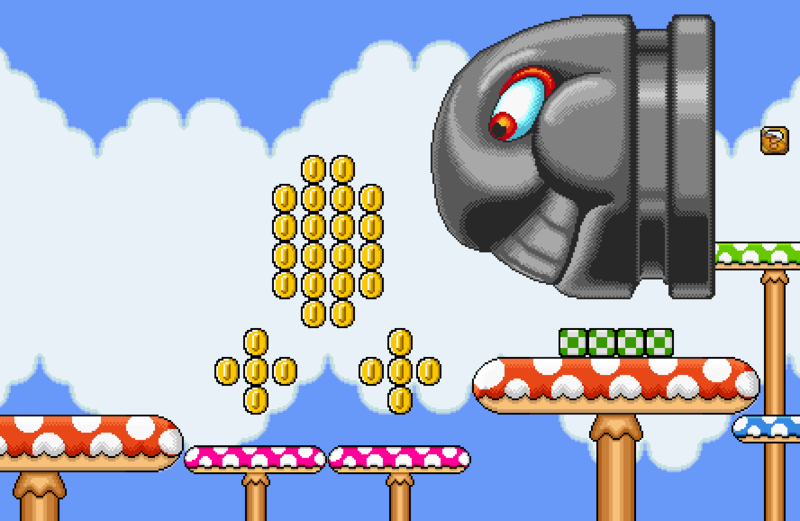 Super Pipe Pack (SMW), Kojimki. 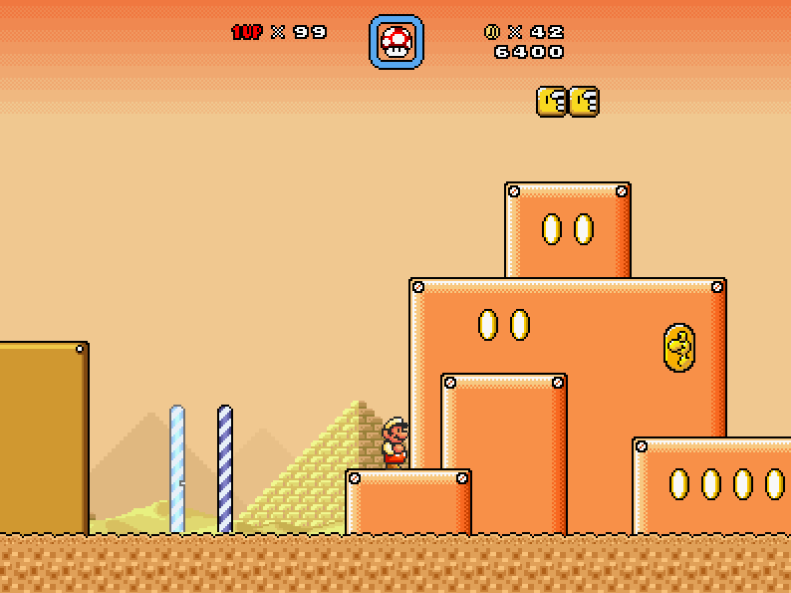 NSMB Custom Beach Tileset, LX Xzit. Some things from SMSE, Chad and others. And ofcourse, OlieGamerTv for the Logo of the Episode. You will need to download all 5 Zip files, then extract them, if you want to play it in an episode format. Put them into a folder, then play. 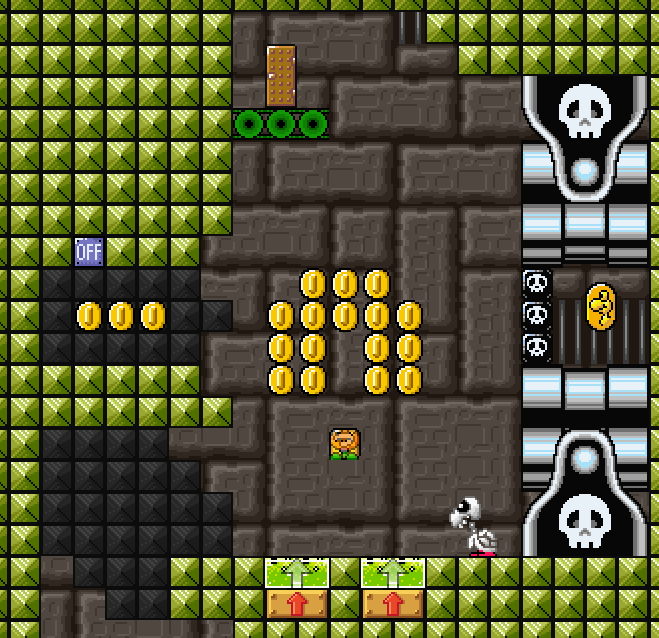 You can, ofcourse, play the levels individually without needing to download it all. 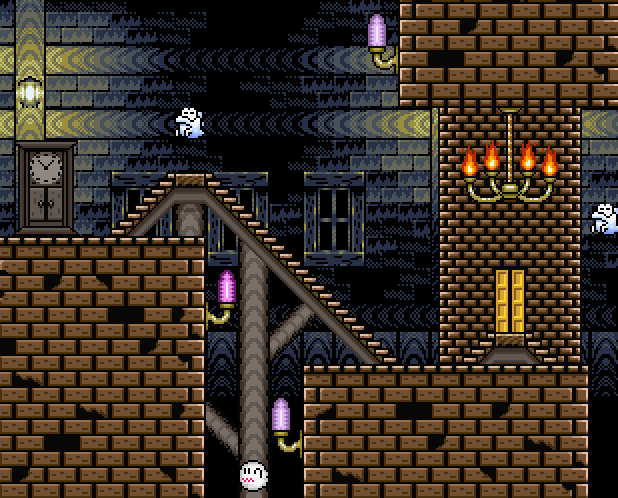 You can play up to world 4-Ghosthouse. Please excuse the map, it wasn't finished. For now, this episode has been put on hold. Do check out my next attempt at a (sort of) decent episode (this wasn't that good)! Last edited by Taycamgame on Fri Dec 29, 2017 12:15 pm, edited 28 times in total. What kingdoms? 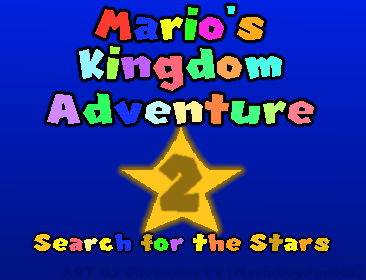 Mushroom Kingdom or Cap Kingdom? Seems like there is a section in those pipes on 1-1. Id like to see that area, because i'm only getting one side of the coin. Help save net neutrality! Spread the word using this code in your siggy! 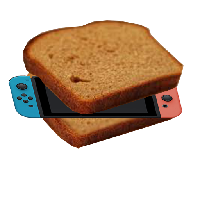 ＣＯＮＫＥＲ, ＨＯＮＥＹ, ＷＡＮＮＡ ＧＯ ＦＯＲ Ａ Ｂ Ｏ Ｕ Ｎ Ｃ Ｅ ? BananaCat wrote: What kingdoms? 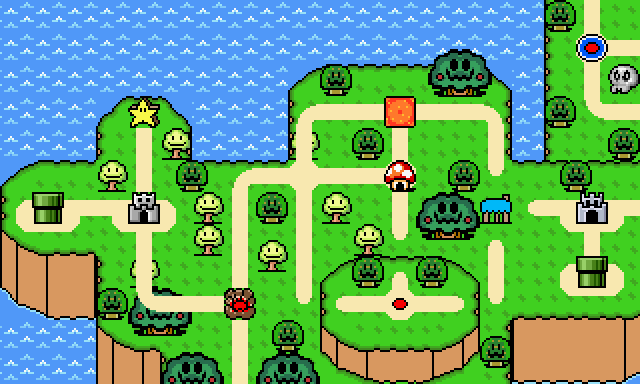 Mushroom Kingdom or Cap Kingdom? I updated the page to include 2 extra sceenshots. 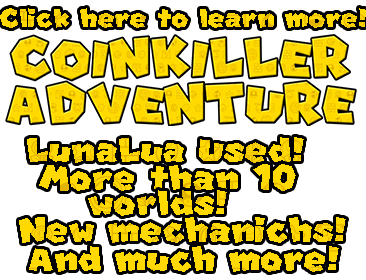 PAGE UPDATES: 2 Screenshots Added, the World Map image removed as I decided to make a new one. Let's hear any feedback! 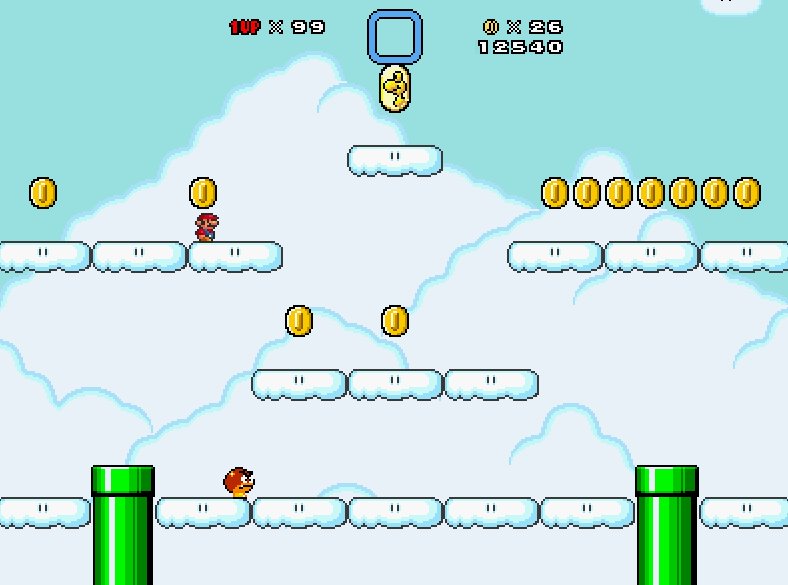 Those 1st two screenshots were of 1-1 and so are meant to be very easy levels without any real gimmick, and the dragon coins are like that to guide the player. 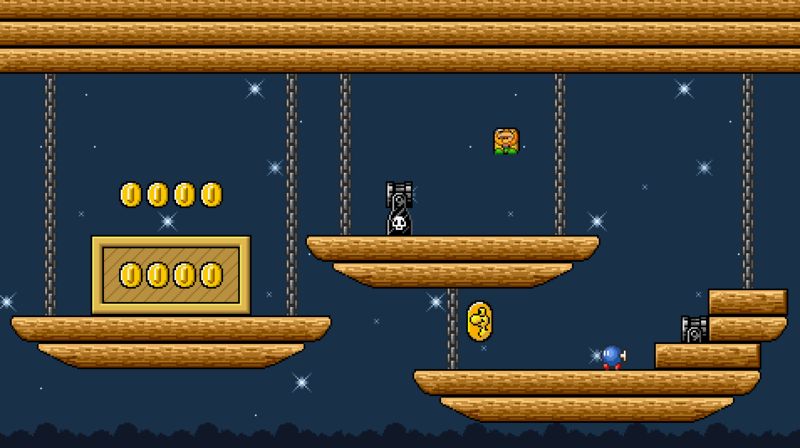 What i will do is create all the levels for my episode and then go back and re-polish any levels that may be bare like that. That 1-1 was the first level i actually made in SMBX so I wouldn't have been surprised if someone didn't think it was bare. 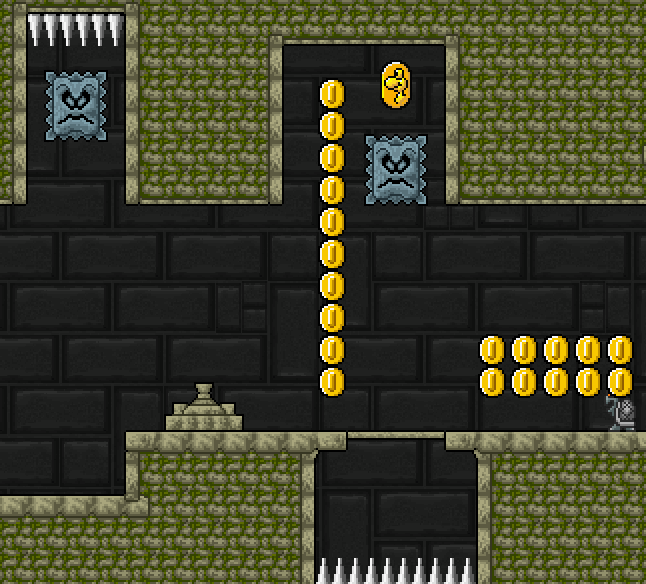 I also work independently so levels do take a while to make. 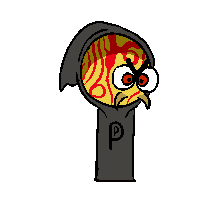 Don't worry though, i'm sure the finished product will look much better than it does currently, and I'll make sure to not mix styles too much. 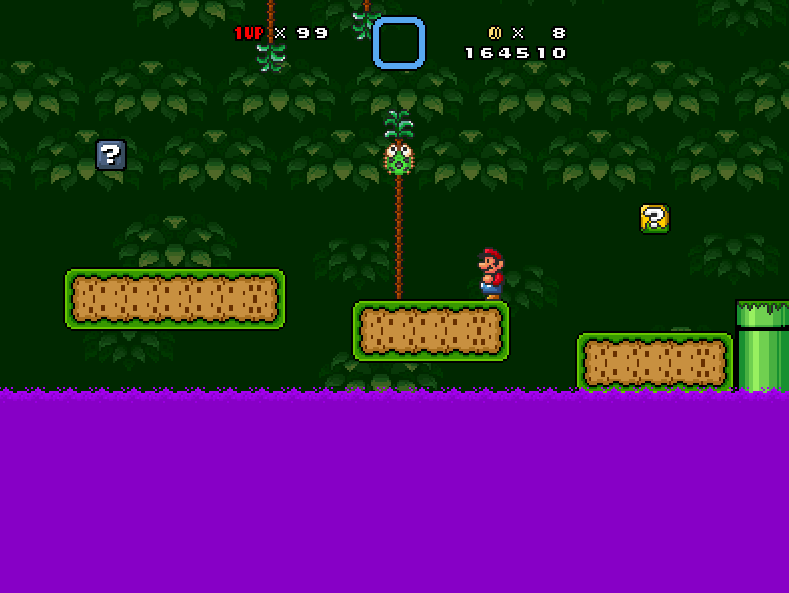 Also as a side note I put two mushrooms together like that incase people decide to use 2-player mode. Taycamgame wrote: incase people decide to use 2-player mode. 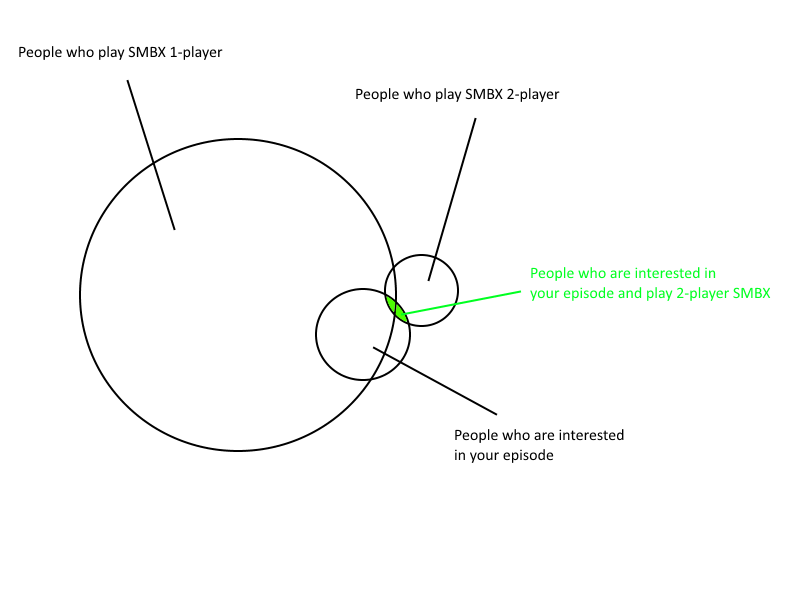 I don't think people use 2 player much. Dragon coins shouldn't be used to guide the player; that isn't their purpose. Also I never critiqued the level for not having any gimmicks but there's a difference between easy and enjoyable and easy and unenjoyable that you should really consider. That certainly looks much better than what I made! If you could allow me to use it as my logo, you would deserve a credit in my episode! anyone else get a feeling that kinda looks like a level from a different mario game? 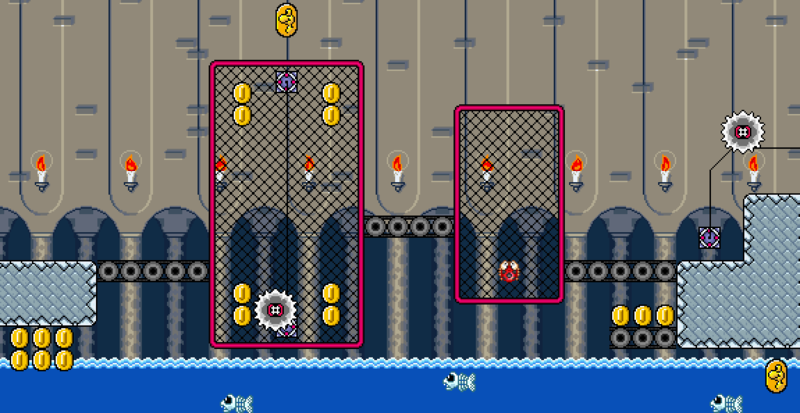 That level was more or less based on Waterspout Beach (Sparkling Waters 1) in NSMBU. Those waterfalls actually move up and down like in the actual game. levels looks pretty ok so far. Good Lucky! 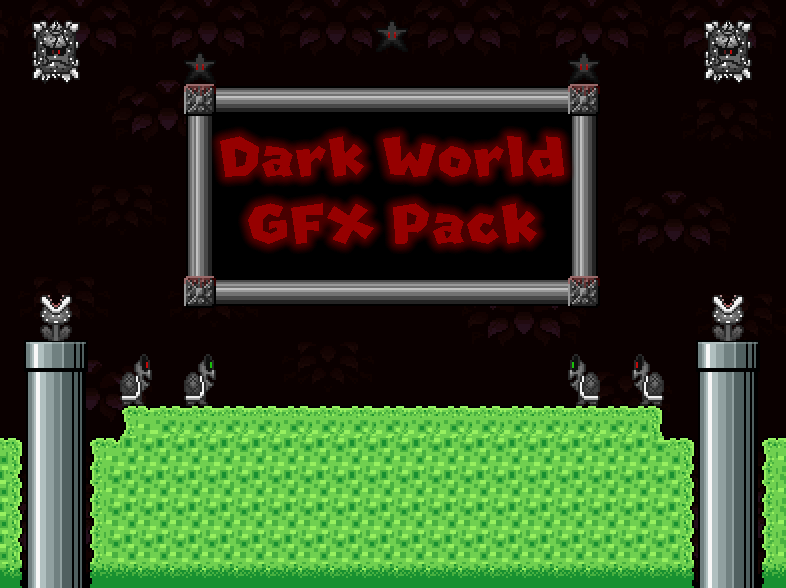 It'll probably be 100% finished sometime early 2018, but i'm trying to make the levels as good as possible, so i don't want to rush it. 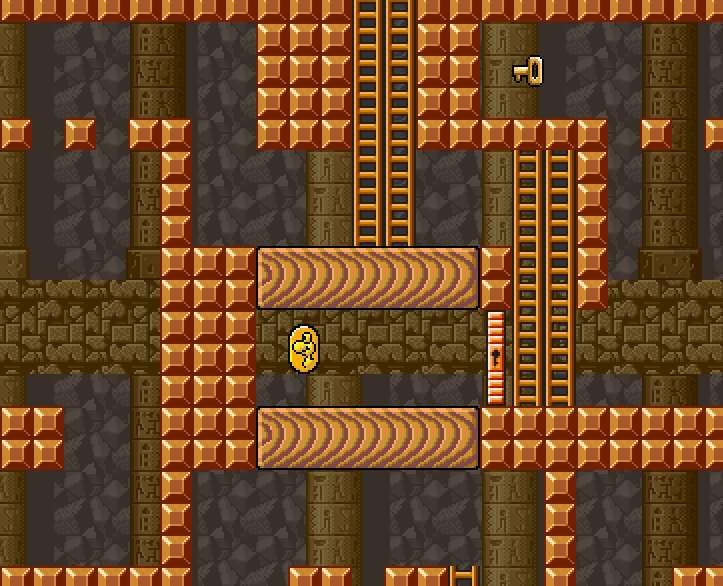 I probably won't release separate levels from this episode, but i may do some individual levels sometimes. Last edited by Taycamgame on Wed Dec 06, 2017 4:31 pm, edited 1 time in total.